The Silicon Valley Plastic Camera Show is a brand new iteration of a decade long tradition. After the announced closing of Rayko Photo Center in San Francisco, the photo community near and far went into a period of loud mourning. More than just a darkroom and gallery space, it was a meeting place, a home for anyone interested in the magic of photography, regardless of style, method, or experience. Running 10 years strong, the annual Plastic Camera Show, curated by then gallery director Ann Jastrab, was always the highlight of the year. Drawing artists from around the world, the show consistently demonstrated the artistic richness that is possible with even the humblest of materials. But even more than the art on the walls, the show was a celebration, a gathering of like-minded analog odd-balls who found a new family over a plastic cup of wine in a sardine-packed gallery. The fact that the final exhibition to be held at Rayko was the Plastic Camera Show seemed a fitting wake, a chance for the analog community to celebrate and reminisce. But just as progress marches on, so does the Plastic Camera Show. Rebranded and relocated, the Silicon Valley Plastic Camera Show is now on display at Santa Clara University. Over their nearly 60 year history the commercial popularity of plastic cameras has waxed and waned, but they have maintained a devoted, even fanatical, following among photographers who embrace their aberrations and imperfections. From the Diana and her clones of the '60s to the close-knit communities of film shooters that emerged on Flickr to the current hipster fashion accessories you can pick up at any Urban Outfitters, these so-called “toy cameras” have captured the imagination of artists and amateurs alike for decades. Their lenses may distort reality, their light leaks may streak across the film, but it is precisely these idiosyncratic flaws that make them irresistible visual tools. Artist Lisa Lindamood, whose work has been included in the last four exhibitions, was drawn to plastic cameras for those very reasons. She says, “I enjoyed the spontaneity and the serendipitous things that happened, such as double exposures and light leaks. I loved that the images were out of focus. The camera translated the real world into an unexpected, oneiric one. There was magic happening inside my little plastic camera, and I fell in love with it.” Her medium format Holga camera imparts a sense of unreality to her imagery, such as the gelatin silver print featuring two ghostly arms holding glowing orb. One consistent element of the Plastic Camera Show over the years is the vast variety of techniques and styles being showcased on the walls, a testament to both Ann Jastrab's curation and the boundless creativity of the artists. The variety of cameras, both commercial and homemade, offer a seemingly endless array of options for visual expression, from straightforward to surreal, all of which are on display. 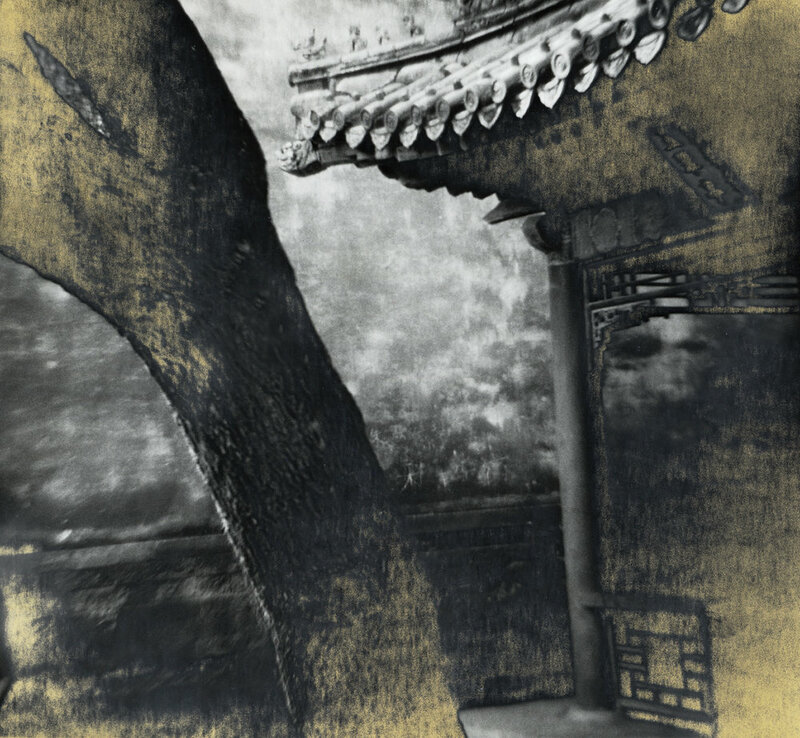 This can also create interesting juxtapositions of images done using different techniques to explore similar concepts, such as the fractured landscapes by Laura Watt and Yuhang Quian. Watt uses Kodak Portra color film in her Diana camera and pieces together the landscape in camera by overlapping exposures, causing the mountain range to advance and recede as your eye moves across the frame. Where Watts' mountain becomes disassembled, Quian literally reassembles the mountain range, the two black and white Polaroids being sliced into strips and brought back together again to form a single image. There is an unexpected synchronicity in their work which calls to mind the fragile state of the environment. But with all the artists I talked to, there is always a similar overriding sentiment when it comes to the Plastic Camera Show, and it comes down to the camaraderie. Laura Watt sees the yearly shows as a community-builder for photographers working in unusual and unconventional techniques. Jonas Yip, who has been included in half a dozen of the exhibitions, agrees, saying, “The most important part has been meeting all the fellow artists playing with similar techniques and drawn to the aesthetic, and seeing everyone support each other and flourish together.” The community will be coming together once again to celebrate another year of analog success with a closing reception on Friday, October 12 from 6 to 8 pm at the Edward M. Dowd Art and Art History Building on the University of Santa Clara campus. The exhibition runs through October 19. Check out our event page here for all the details!